A random process, a collection of random variables, is said to be a Gaussian process (GP)1 if any finite number of these variables have a joint Gaussian distribution; i.e. 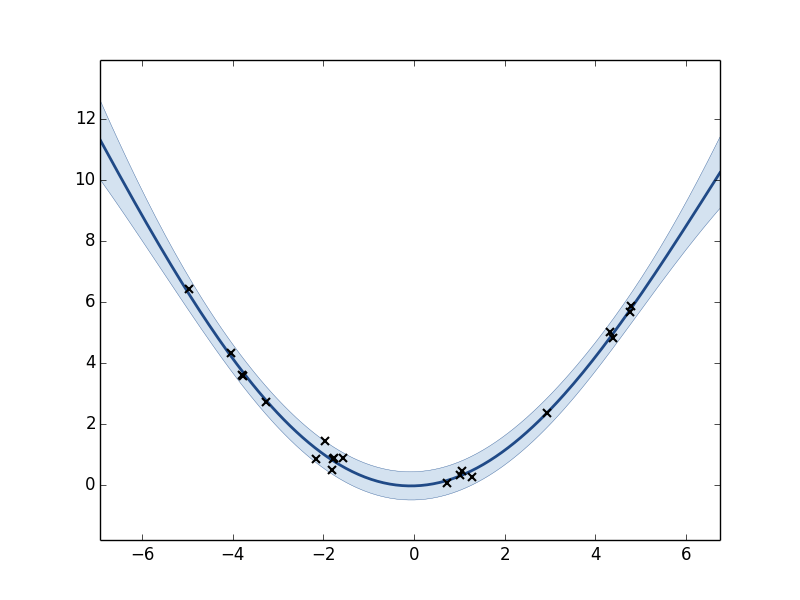 the relation between variables follows a Gaussian distribution, this says something about the smoothness of functions generated by these processes. 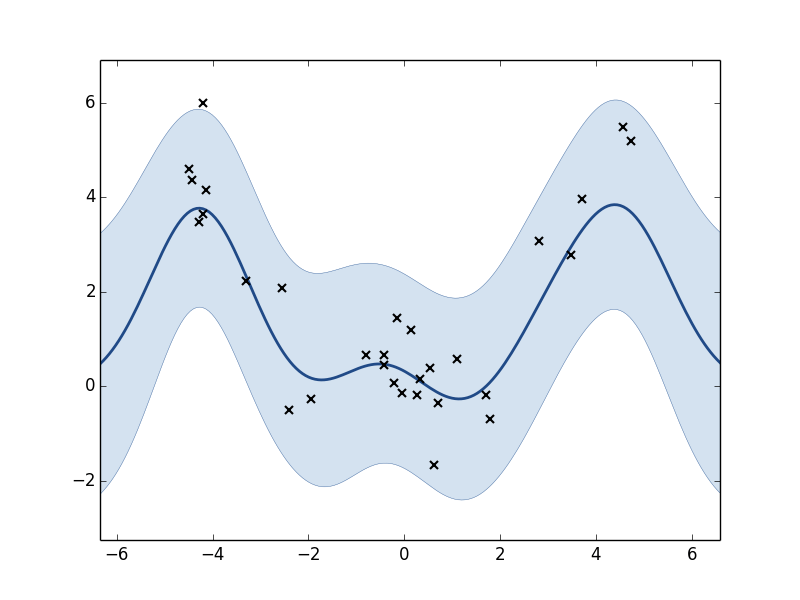 Guassian processes are used for many tasks in machine learning; from classification to regression and latent variable models. A lot of work on this subject is done by the machine learning group at the University of Sheffield which maintain and develop the GPy package: a framework, written in python, for GP’s. In this post we will take a first step in using this framework. and GPy and its dependencies should be installed. Note: GPy does not work smoothly with Python 3+. An attempt to do a ‘quick and dirty’ conversion did not work reliably. I suggest you use an 2. * installation of Python in combination with GPy until its authors update the framework. After the parameters of the model have been optimized the GP has a significant better fit on the underlying function. We can see that all parameter values have changed from their default values. There are also other GP frameworks for python apart from GPy. The pyGPs (docs) package is a good example with support for both classification and regression.